These days, trust is a commodity in short supply. Not only trust in government but in many of society’s fundamental institutions: for academia, the financial sector, the media, trust has ebbed, and prospects for improvement seem uncertain at best. Worrisome as that is, it’s also a reason why institutions that retain the public’s trust are valued more highly than ever, and it’s a reason to feel good about electric cooperative membership. Over the years, survey after survey has shown people trust electric co-ops more than other kinds of utility providers to deliver quality service, and that seems to be generally true even when the others are also putting up very respectable scores. Obviously that matters in the relationship between co-ops and their member-owners. It also matters in less obvious ways. One place where it especially matters is the Wisconsin Legislature. 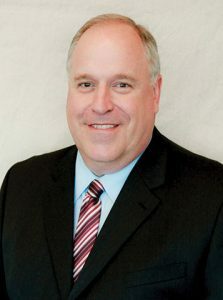 Maintaining good relations with state lawmakers, the better to represent the interests of co-op member-owners, is a major part of the Wisconsin Electric Cooperative Association’s job. Almost two years ago, several different co-op sectors concluded it was time to update some aspects of Wisconsin’s statutory Chapter 185, the law that spells out the requirements for organization and governance of co-ops in this state. Most importantly, it spells out the duties and obligations of a co-op to its members. 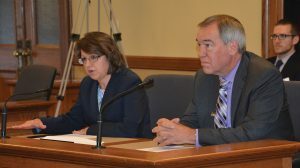 WECA Director of Government Relations Beata Wierzba and Dunn Energy Cooperative CEO Jim Hathaway testify on behalf of electric cooperatives at a Chapter 185 hearing. Wierzba has been the face of electric cooperatives to state lawmakers for 14 years. 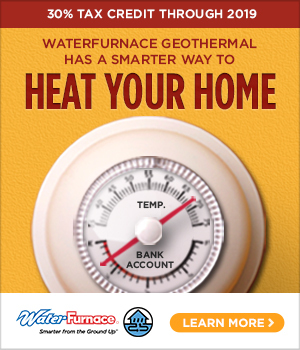 Hathaway has been the chair of WECA’s Legislative and Regulatory Committee for six years. A bill containing several provisions was introduced this spring. 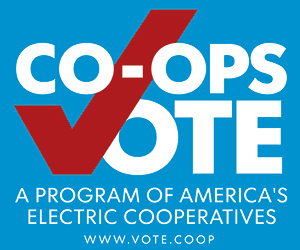 One provision applying to electric cooperatives simplifies notification of members who have unclaimed assets held by the co-op, while another facilitates existing mechanisms for co-ops providing consumer loans to help their members pay for work improving energy conservation, electrical safety, or to meet emergency backup generation needs. The latter idea was pretty much universally popular. The former one drew some ill-informed opposition that could have complicated matters, were it not for lawmakers’ confidence—borne out through years of experience—that this state’s electric cooperatives play it straight. Seems clear enough. It’s also clear—though not stated either in the newspaper story or the legislative summary—that it is illegal for an electric cooperative to “keep members’ unclaimed assets.” That did not change in any way on November 7 when the Assembly passed A.B. 353 on a bipartisan, 74-18 vote. The Senate soon followed on a voice vote. In an atmosphere where trust is badly eroded, that newspaper story, the precise opposite of the truth, might easily have poisoned the discussion of a proposal whose sole purpose was to bring several unrelated provisions of co-op law into the current century. Would it have been the end of the world if that had happened and Wisconsin’s co-ops needed to start over in modernizing parts of their governing language? No, but luckily they won’t have to, thanks to the trust they’ve built over many decades. That’s the problem for institutions that squander their trust: restoring it can take a long time.